The following letter, dated Oct. 17, 2010, is reprinted from the archdiocesan strategic plan. After two years of consultation, and much prayer and reflection on the part of many, I am announcing our Strategic Plan for the Archdiocese of Saint Paul and Minneapolis. This plan is the culmination of a process launched in February 2009 when I named the Archdiocesan Strategic Planning Task Force. In formulating their recommendations to me, task force members have considered the input of thousands of people including pastors, parish and Catholic school leaders and staff, parishioners and Catholic school families. I have made decisions regarding the future of our parishes and schools based upon the task force recommendations in consultation with the Presbyteral Council, the Archdiocesan Finance Council, and others. I recognize that some people directly impacted by the decisions will find them difficult to embrace. I am also hopeful that upon reflection everyone in the Archdiocese will see the long-range benefits that these changes will bring. I respectfully ask for your acceptance and understanding. The strategic decisions and initiatives outlined in this plan are necessary to ensure the health of our local Church, which is the Archdiocese, for us now and for generations to come. The main goal of the planning process is a revitalized and sustainable local Church, responsive to the needs of all of our brothers and sisters in Christ. The changes are aimed at fostering a dynamic communion of faith, hope, and love in this local Church. This vision, which is as old as the first gathering of disciples with the Lord, informs the mission that guides us today: making the name of Jesus Christ known and loved by promoting and proclaiming the Gospel in word and deed through vibrant parish communities, quality Catholic education, and ready outreach to the poor and marginalized. You are likely familiar with at least some of the factors prompting the need for change. A disproportionate number of parish and school buildings are located in areas where the population is no longer growing. Demographic shifts and economic pressures have exacerbated these challenges. Another set of factors is the number of priests available for ministry and the challenges of providing sufficient ordained and lay pastoral leaders throughout the Archdiocese. While the merging and clustering of parishes will involve significant challenges, we must have faith that great good can come about when we work together. As our patron St. Paul reminds us, we are called to be one body in Christ (1 Corinthians 12:12). The Church is not primarily about buildings; it is about people and relationships fostered in and through Christ. It is therefore hoped that the strategic decisions and initiatives of this plan will allow us to become more relationship focused, so that the mission of Jesus will be more effectively accomplished. I invite you to join me in working together to create even more vibrant communities in our parishes and Catholic schools. The Church is growing — and changing. Please take comfort in knowing, as the Second Vatican Council reminds us, “beneath all the changes there are many realities which do not change and which have their ultimate foundation in Christ, who is the same yesterday and today, yes and forever” (“Gaudium et spes,” 10). Together, we can look to the future and do what the Church has done for two millennia: adapt to changes that best serve the faithful while remaining true to our Catholic faith. Let us work together to comfort the afflicted, welcome the stranger, educate our children, and greet the challenges and even greater opportunities before us with faith in our Savior, Jesus Christ. 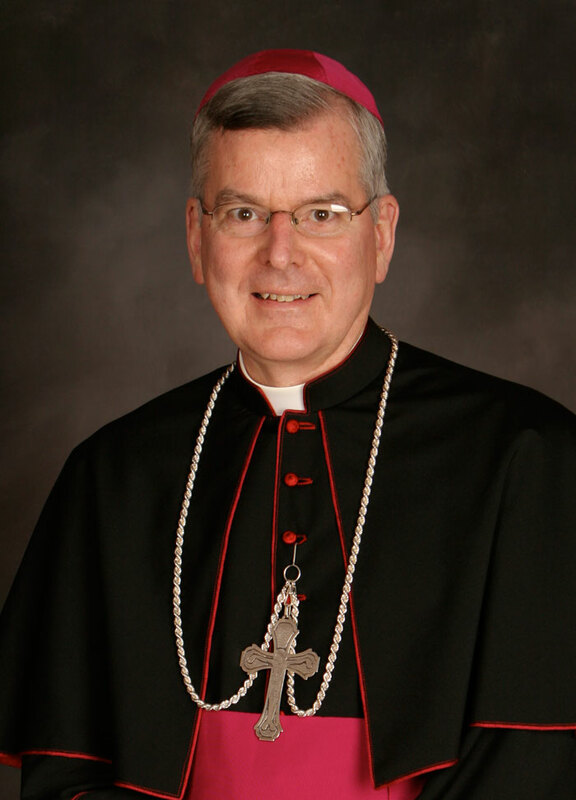 Please join me in praying for the future of our Archdiocese of Saint Paul and Minneapolis. May God bless you!